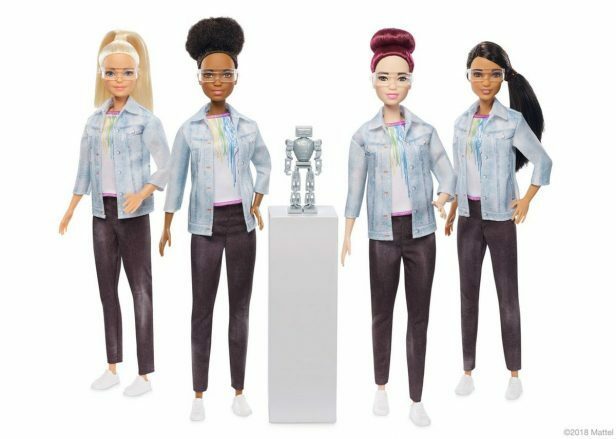 Robotics Barbie is a lab-coat-and-glasses-wearing robotics engineer, a far cry from the 1992 “math class is tough” version. Robotics Barbie is a lab-coat-and-glasses-wearing robotics engineer, a far cry from the 1992 “math class is tough” version. Appropriately, she’s also part of a Mattel Inc. initiative to promote new jobs for girls, in line with a public pledge the company made earlier this year.